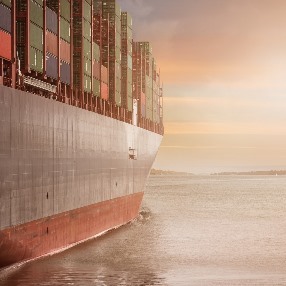 When it comes to the transportation of art, antiques, furniture, or any other items, choosing the right freight forwarder is of utmost importance. After all, you are selecting a partner you can always rely on with confidence. The good news is that there are many trustworthy freight forwarders in the United States able to organize shipments of any kind for both individuals and corporations. As a professional fine art shipping company in NYC, Fine Art Shippers works with many reliable art moving companies throughout the world, and we know how important it is to select the right partners. Thereby, if you want to find the best freight forwarder to meet your domestic or international logistics needs, pay your attention to the below tips from Fine Art Shippers. 1. Make sure the freight forwarder has the experience you need. First of all, you need to ensure that the freight forwarder has all the necessary experience, equipment, and resources to meet your requirements. Freight shipping is a complicated process, and, thereby, it is very important to know that the chosen company can handle your particular shipment with professionalism and precision. 2. Know what other people think. It is never superfluous to learn more about other people’s experience and what they think about the freight forwarder you want to hire. So take your time to read testimonials and feedbacks from the company’s customers in order to make an informed decision. 3. Ask about the insurance. Whether it comes to the domestic or international transportation of your cargo, proper insurance coverage is a must-have. Thereby, you need to make sure that the chosen freight forwarder is able to issue the insurance policy for your shipment in case of loss, damage, or theft. 4. Check whether the freight forwarder has a reliable partner in your destination country. Ask about the company’s partners in your destination country, their experience and expertise in handling shipments related to your kind of goods. 5. Make sure the freight forwarder can handle multiple types of shipments. Finally, make sure that the company can organize multimodal transportation of your cargo and handle multiple shipments in case of need. Hopefully, these tips will help you choose the right freight forwarder able to meet all your needs and requirements. If your cargo is related to art, antiques, or any other valuable items, Fine Art Shippers will be happy to become your reliable partner for a wide range of national and international fine art shipping services!